My name is Paweł, I’m a product designer at Stack Exchange. I’m super happy for you, because the process of graduation has begun! This site will be out of beta very soon. Congratulations to all of you! Graduation comes with a few perks. We’ve already begun work on your site's design, which will give you your own unique theme that reflects your topic, culture & community. 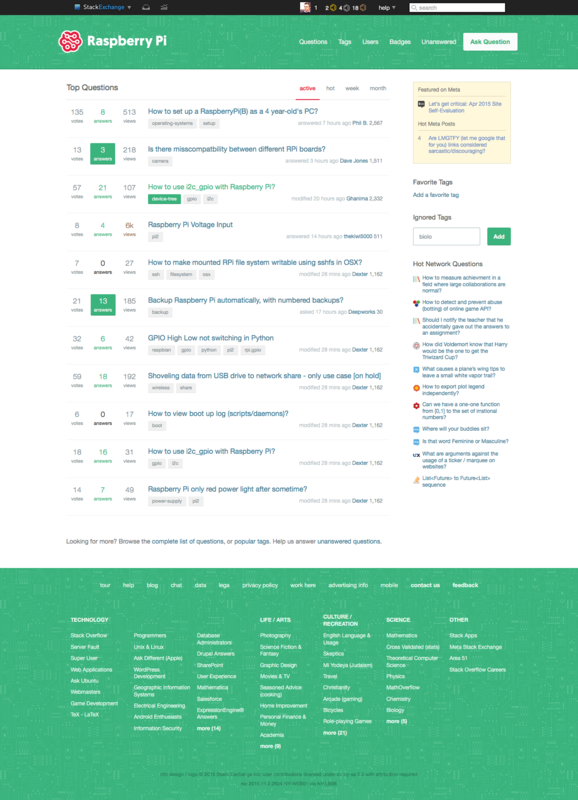 This will help brand your site as unique, even while you share common elements with other sites that show you are part of a bigger Stack Exchange family. There’s another big thing - once your site goes up, you will receive a link in the footer of other sites in the network, along with the ability to migrate content to and from other sites – and the notoriety of a public launch that says, “Congratulation, you finally made it!”. 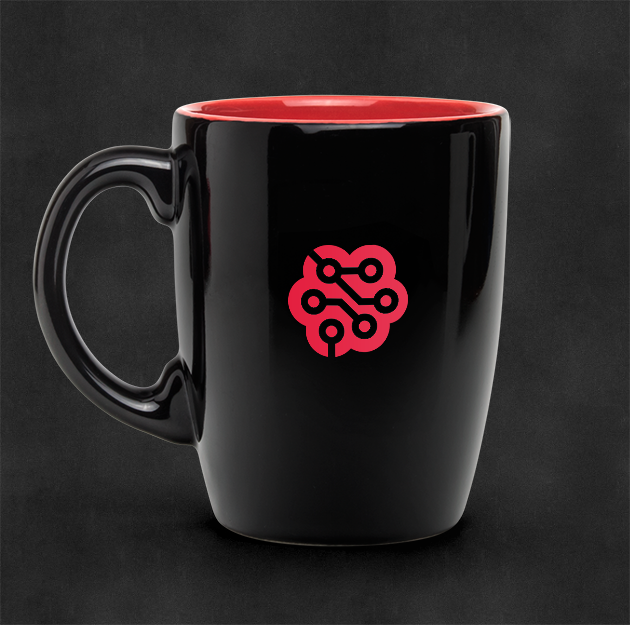 The idea behind this design was simple: create something that fits Your Community. A community of builders, engineers, and fans. A community of people who can go to a garage and build an Iron Man suit. A community of people who can build and program a working computer while on a lunch break. And so on, and so on… There’s a lot of fascinating stories behind your community. 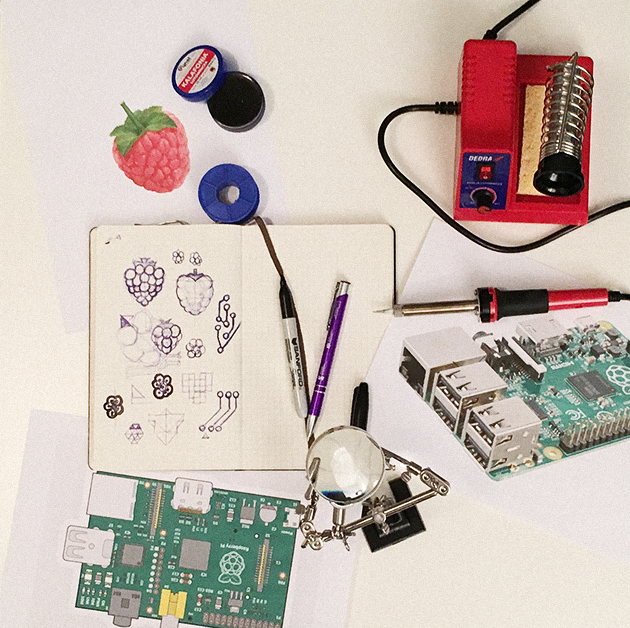 And there’s one thing in common — Raspberry Pi. That little green board which opens entire new world for you and other people and release endless source of creativity to build something amazing. I’ve also been reading tons of questions here recently, and I have to say that you’re a cool community - very friendly, chilled out, happy, and fun. We wanted to emphasize those values. So yes, many stories are glued together with a Raspberry Pi board. That’s why this board became a symbolic theme for your site design. Green - obviously. 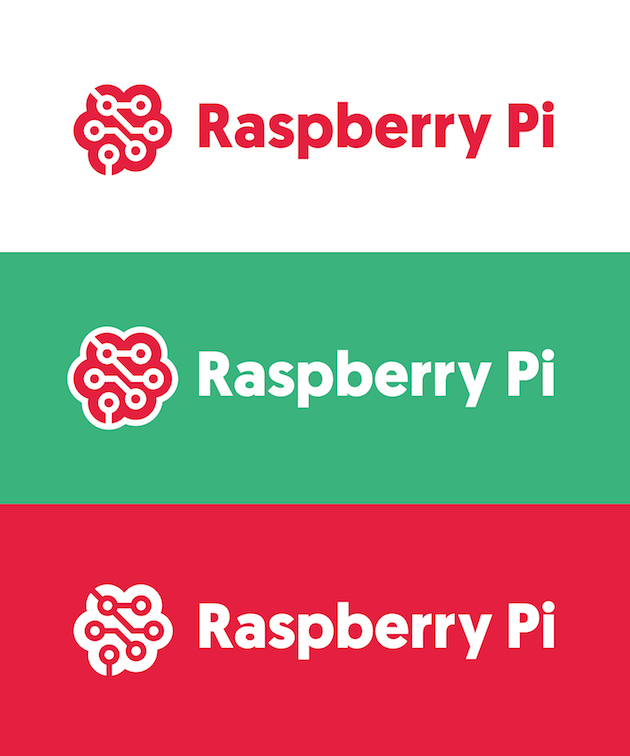 We’ve also added some red/pink from Raspberry Pi logo to remember the roots, where it all begun. 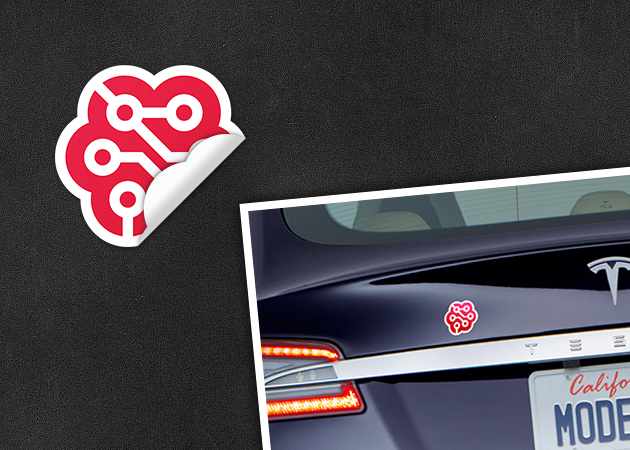 Raspberry which symbolizes community roots and the device which is a foundation for everything you build. 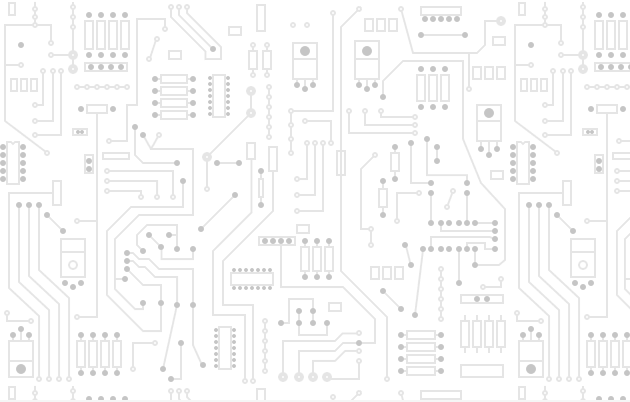 Circuit boards which are the main theme of the site. Here are some examples of how it can be used elsewhere to strengthen the visual identity. We believe the design and branding work very well for this community, it’s unique and capture the right mood. We’d love to hear your feedback, and if there are no major design changes, we’ll launch the new site design and graduate the site from Beta soon. Wow, was beginning to think this might never happen. I would like to congratulate the community on reaching this milestone. I like some of the subtle design cues like the circuit board traces that make up the up/down vote buttons. Given the recent meta post regarding phased graduation Can we get a tenative timeline and complete list of changes (will election of moderators be included, resetting of privilege levels etc.)? I can't fault the design Paweł, I think it's impeccable, and your reasoning behind it is excellent. I can't wait to see it in action! My other thought was cyan -- who doesn't love cyan? But that is more fizz than pop. 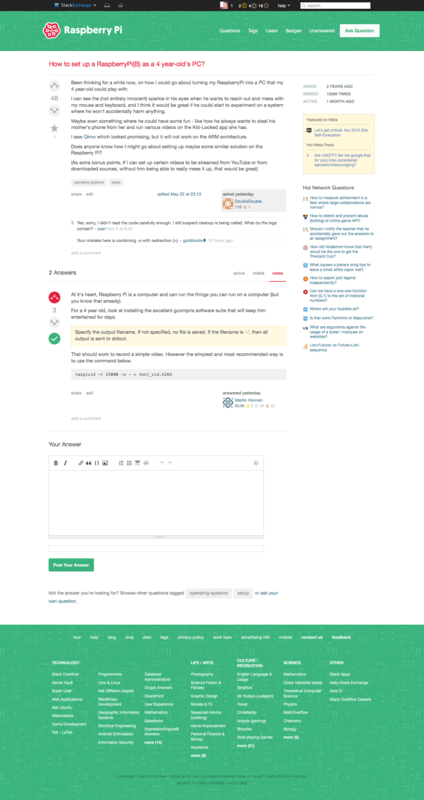 Anyway, I've set this post as "Community Wiki" so people can up or down vote the idea without hurting my good reputation. Since canary (or is it lemon?) has received a mixed reaction, I've giving cyan a chance here too. Awesome! I am so excited! 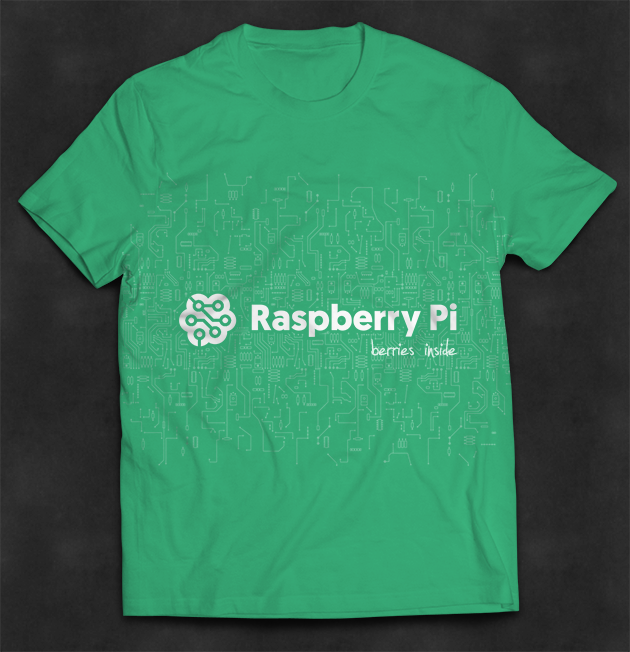 Maybe could the Raspberry Pi text be in #d80303, or some other shade of red? I think it would match the logo. Sorry, I don't have Adobe PS or anything so I can't show it. Also, maybe we could have a newsletter like the Electrical Engineering Site? I could help with that, maybe make a fancy html/CSS email template. 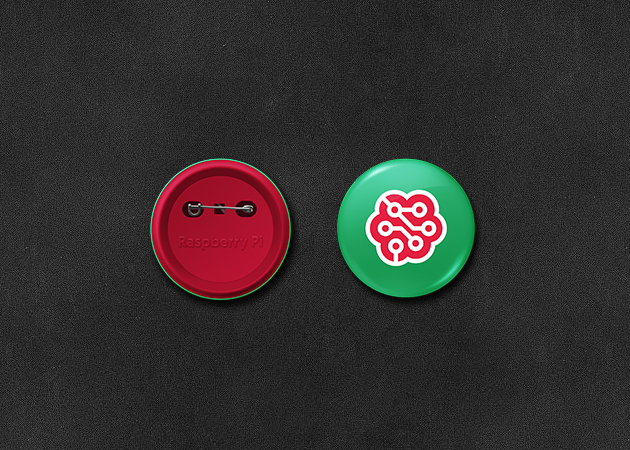 They also have custom buttons, that would also be cool. Maybe some more circuits? Different Pi models for every button? One thing I unfortunately don't like about the logo design is how it looks in small size — e.g. as can be seen after clicking the "StackExchange" menu bar. As I see it, the details become lost, and the whole thing looks like some kind of amorphous dirty blob. (Specifically, not really reminescent of a raspberry, or anything.) This is really the only one thing I don't like (I do like the idea in itself), yet I believe it's an important thing — given especially that this small logo would appear on other network sites, and in network menus too; this way, to a significant degree it contributes to the "public image" of the site. Could you please consider tweaking it so that it would look nice and appealing in this small size too? Alternatively (or additionally? ), maybe adding some kind of a stem/leaves on top could help? What should the logo look like? Vote for a logo design! 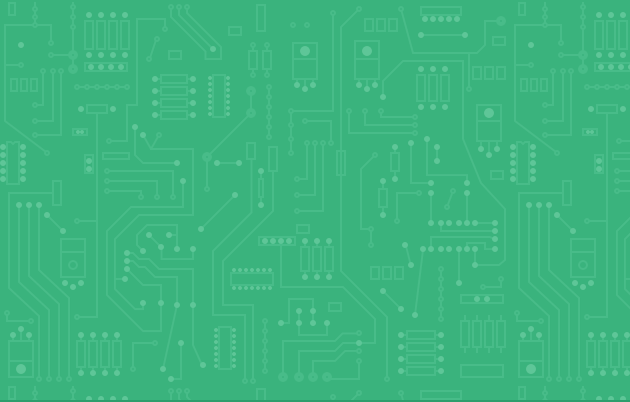 How should we handle Raspberry Pi Foundation Trademark issues? Does Self-Evaluation affect graduation chances?